As 2018 comes to a close and we take the time to sit back with a mince pie, watch Die Hard, and try to remember who the weird-shaped present under the tree was supposed to be for, it might be a good moment to think about the last twelve months, and all the changes that Jivebeat and TangoSynthesis have seen. In that time we’ve changed our focus, created a new brand, and branched out into previously unexpected areas. There have been challenges, surprises, and unexpected connections, and had you asked us last Christmas for our predictions for the year, we would have got it all wrong! 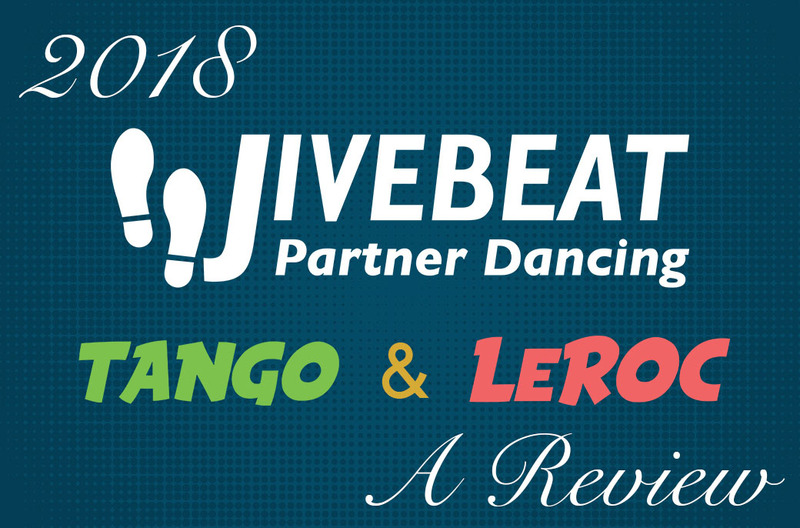 Back in January, all our Jivebeat class nights were a combination of Argentine Tango and Modern Jive. Having originally formed as a purely Modern Jive club in 2016, we were as surprised as anyone when in June 2017 Argentine Tango unexpectedly became a part of our evenings. And that new format - an hour of MJ followed by an hour of AT, with combined practise at the end - had carried through into 2018. We assumed this would be the way things would continue. But nothing ever goes quite the way you expect, and it soon became clear that there would be more Tango in our future than Modern Jive. In March we held our first ever X-Tango Alternative Milonga. We had no idea if anyone other than us would be interested in a tango event with no traditional tango music, but Neolongas are popular on the mainland and up north, so we wanted to give it a go. And for one week only, on the Friday the 23rd March, our normal class night became our first neolonga. It worked. People were challenged, not sure what to expect, and often surprised by the music we played, but it worked. So we decided to make X-Tango a monthly event. This was around the same time that we realised marketing a dance club that had an increasing amount of tango on its calendar under the name “Jivebeat” was confusing, so towards the end of April we launched TangoSynthesis with new graphics, a new brand style, and a dedicated website. We carried on with the combined Jive and Tango evenings until the summer, when during the quiet period in August we sat down to have a think about the future of Jivebeat. Marketing a combined Modern Jive and Argentine Tango evening was proving to be a bit of a challenge as people seemed unsure what exactly it was that they were coming to, and time constraints during the evening meant that we could only do combined ‘beginners & improvers’ classes so we felt we were doing neither justice. The end result of all this was that we made the difficult decision to start concentrating on just one style, and so we dropped Modern Jive classes from the calendar. I know that this decision didn’t sit well with those of you who were coming primarily for the Modern Jive part of the evening, and for that I’m sorry. If there had been a way for us to continue with both we would certainly have done it, but we had to make the best decision for the club itself, and that was to focus on tango. It was a difficult choice, but it was the right one. Classes are growing, our X-Tango events are bigger and better than they were when we launched, and things are definitely on the up for TangoSynthesis. We have even connected with another group in Tunbridge Wells, and Graham is now regularly teaching a class there, with Nathalie, on Monday evenings. The coming year will bring us many new challenges. 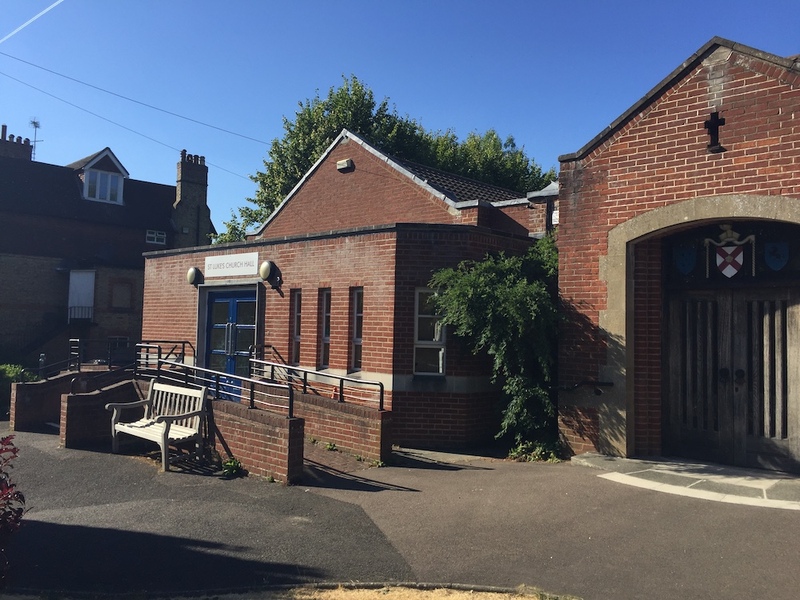 We already know that our Sevenoaks venue for the X-Tango Neolongas will be closed for refurbishment at some point in the year and that we will have to relocate to somewhere new (we have dates booked through to May, but after that we have no idea where we will be). But that won’t be the only challenge, I’m sure. We had no idea at the start of 2018 that by now we would only be teaching tango, so I’m not even going to try to guess what 2019 will bring. Whatever the future holds though, this coming year will be the year of dancing. This club would be nothing without you, the dancers, and we want to make it the best for you that we can. See you next year on the dance floor! It is an unfortunate fact of life that things tend to get a little more expensive over time, and whilst we've held off for as long as we can, the time has come for us to put up the prices. X-Tango Alternative Milongas will be going up to £12 on the door, or £10 pre-booked. We will be adding the booking facility to the website in the next few days, but you can always pre-book at any of our classes. As stated in the previous post, the Guided Practilongas at St Luke's will be £6 for this year as a trial price. This is an on-the-door price only with no facility for pre-booking. Hopefully that all makes sense. As always, if you have any questions then please ask. We are still on our summer break at Sevenoaks, but when we come back a lot of things will be changing. I sent out all this info in the newsletter last week, but as I know that a lot of you don't get that for various reasons, here it is in blog form as well. The eagle-eyed among you will immediately spot that the 6th is a Thursday. Class nights at Sevenoaks will be on a Thursday from now on. We are also temporarily dropping the smooth jive part of the class so we can concentrate on tango. I know that this will annoy some of you as smooth jive is the main reason for you coming, but there are a number of good reasons for us doing this. I won't try to explain them all here though; that's a subject for another post. Our monthly X-Tango Alternative Milongas will still be on Fridays and will still be at the Community Centre, so this means that classes won't be interrupted every few weeks. Please note that our next X-Tango is on the 28th September as we cancelled the late August one to avoid clashing with Herstmonceux (see below). Additionally, one Friday a month we will be running a "Guided Practilonga" at St Luke's. These will be a 2-hour practice session with no class but plenty of help around if you need it. We will mix up the music at these, so there will be plenty of opportunity to try out different dance styles if you want. We will be trialling these at £6 on the door for this year. Classes are moving to Thursdays, and will become all tango, with beginners at 8pm and improvers / intermediates at 9pm. You may want to check that postcode if you're using a SatNav, as there seems to be a bit of dispute between them as to where that goes. The address is correct and confirmed though. See you there in July!